Tweet-a-thons are a new way of raising money and awareness. As part of a social media marketing strategy for charities and causes, they represent a powerful choice. Tweet-a-thons work by generating as much Twitter activity as possible within a set time limit. 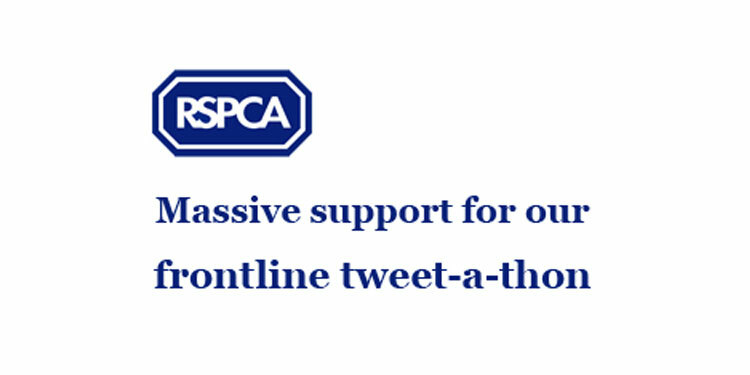 For example, on August 3rd RSPCA inspector Tony Woodley and two colleagues Tweeted animal rescues and live incidents across the country, as they happened. Thecampaign was certainly a success – their follower count grew from 200 to 18,00 in 24 hours, and the campaign encouraged a lot of Twitter dialogue and a flood of donations. Other tweet-a-thons focus on generating the greatest number of re-tweets and donations within a specific time frame. In March this year, internet marketer Scott Stratten created such a campaign for strength.org, an organisation which works to combat child hunger worldwide. The aim was to raise $12k in 12 hours. They met the $12k goal within 6 hours, and by the end of the event $14k was raised for the charity. As well as spreading the message through re-tweets, supporters were given an additional incentive. A $12 donation meant that they were entered into a draw to win several prizes, such as a Twitter background design, a Kindle, and an Amazon gift card. All the prizes were donated by other Twitter supporters of the charity. How about taking it further? There are several social media features that causes can use for promotion and fund raising. Twibbons are small icons that go in the corner of Twitter avatars to show support and increase visibility. Twibbon.com provides an easy way to feature and distribute these. Facebook now has its own feature for charities and the third sector – Facebook Causes. These pages can be quite powerful tools, as they enable members to collect donations and start petitions, as well as sending messages and creating dialogue with followers. Talking of petitions, Avaaz is a petition site that has become a big global player and is very satisfying to use, displaying the actual and very major results of its petitions. It’s become an interesting fusion of democratic politics and cause-specific activism, enabling world citizens to actually vote and create real action on individual and specific issues. Finally, my last pick of third-sector services is Crowdrise. This site allows you to create a fully integrated social media campaign from scratch, with the ability to share across other social media; set donation targets; and set up contests, activities and projects for followers to participate in. I’ve shown a few examples of the types of social media marketing tools that are out there for charities and third-sector organisations, but in fact there are so many different ways to promote a charity online. In the same way that businesses are starting up on a shoestring and achieving international success in a short space of time, charities can use the internet’s huge reach potential to take their campaigns to new levels. How are you using social media to promote your charity or cause? We would love to hear from you in the comments section.